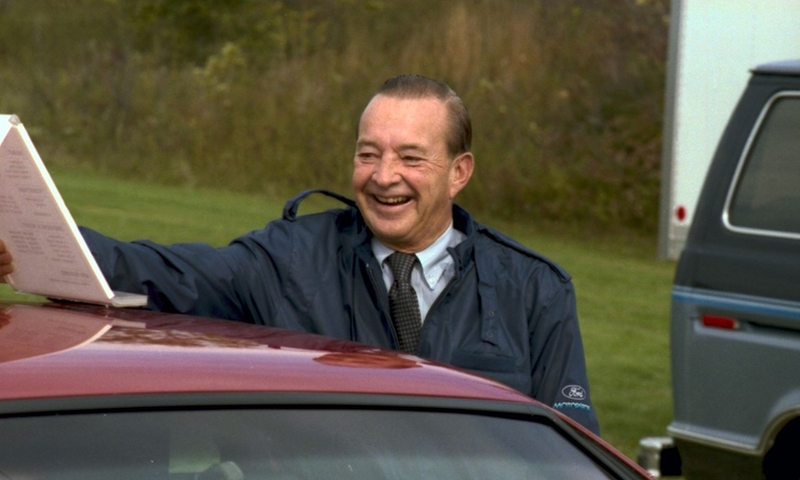 William Clay Ford Sr., a former Ford Motor vice chairman and the last surviving grandson of founder Henry Ford, died Sunday at age 88. William Clay Ford at a Ford Motor Co. board of directors event in 1986. He was 23 when he became a Ford director in 1948, one year after the death of his grandfather, Henry Ford. 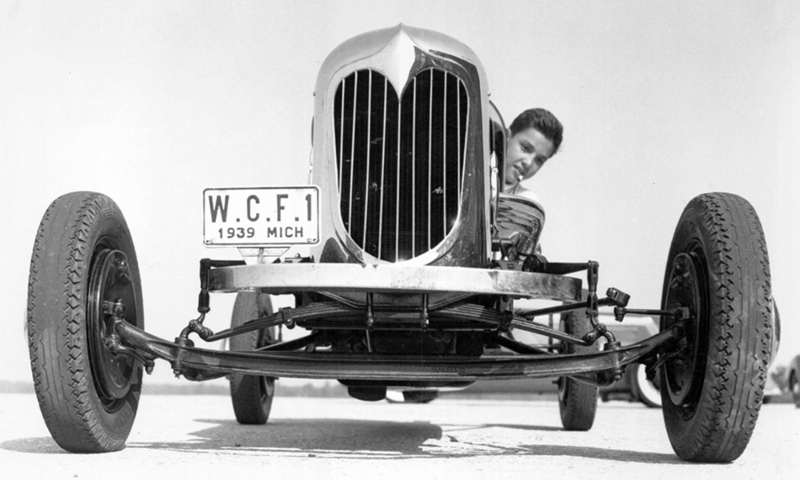 William Clay Ford, at age 14, on Ford Motor Co.'s Dearborn, Mich., test track in 1939. 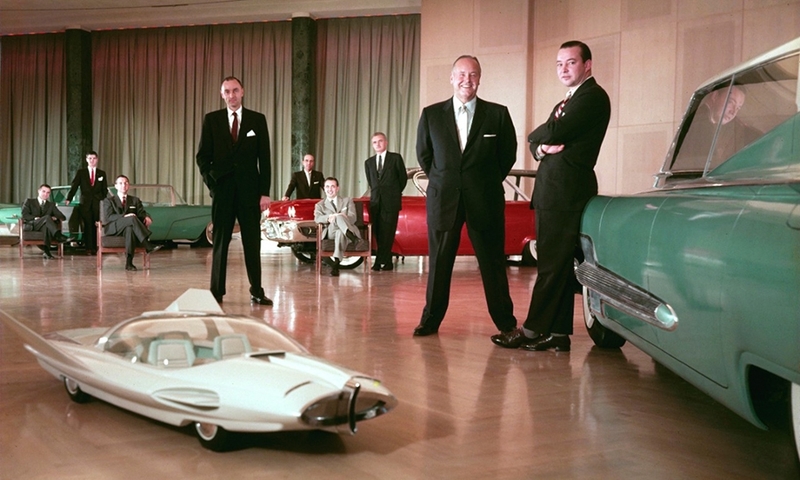 William Clay Ford, left, at Ford's special projects unit in 1953. In 1952, he was named manager of the company's special product operations, a group of engineers and designers engaged in advanced planning for the Continental Mark II. 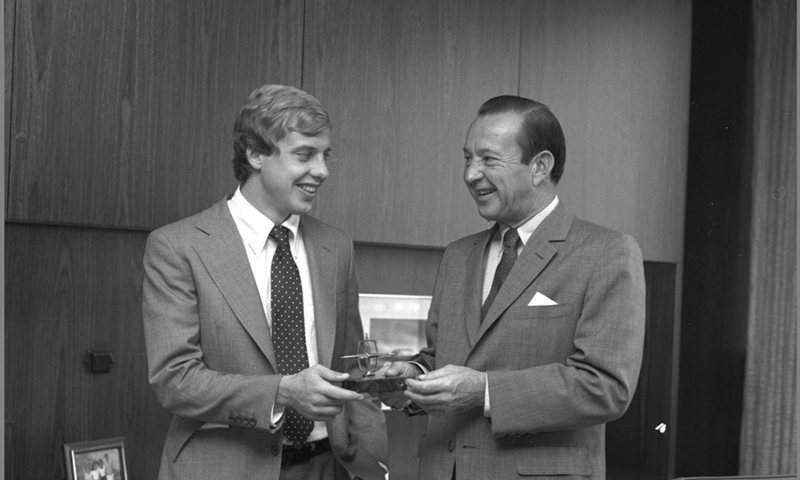 William Clay Ford, right, and William Clay Ford Jr. celebrating William Clay Ford Jr.'s first day at work at Ford in 1979. 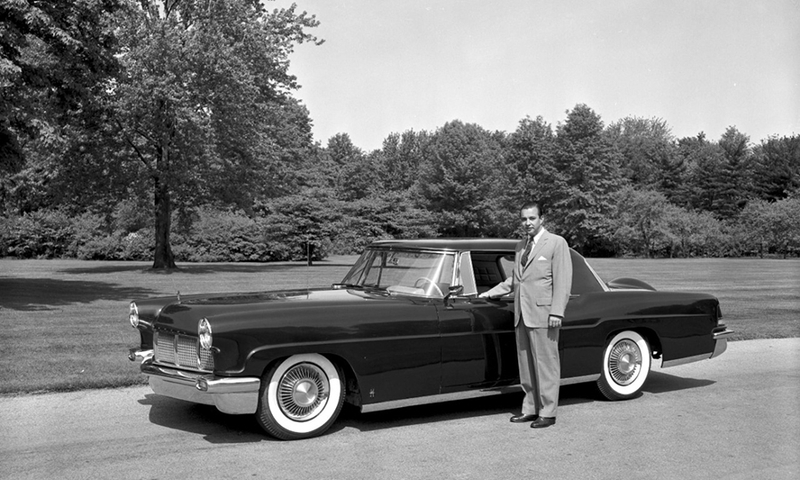 William Clay Ford with the 1956 Continental Mark II, which he developed. 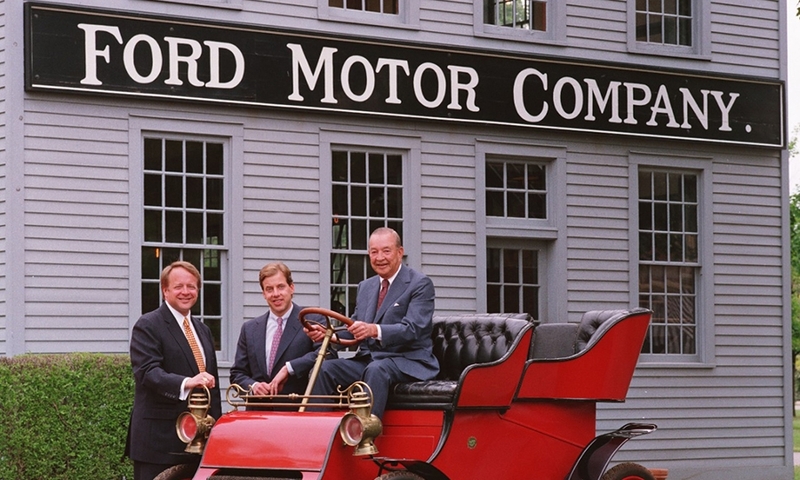 In 1993, William Clay Ford, right, posed on a 1903 Ford Model A with nephew Edsel Ford II, left, and his son, William Clay Ford Jr., center. William Clay Ford retired as chairman of the company's powerful finance committee in 1995. 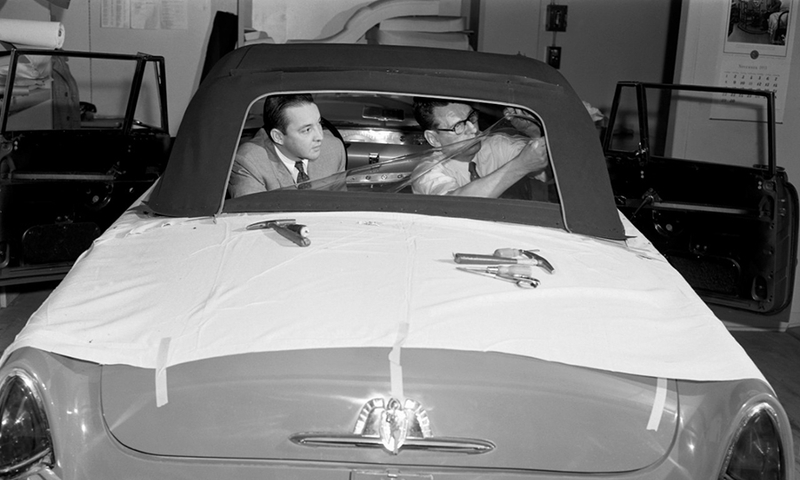 William Clay Ford, right, at Ford's styling center in 1957. He once held responsibility for corporate product planning and design, and in 1957 became chairman of the company's design committee, a post he held until his retirement in 1989. 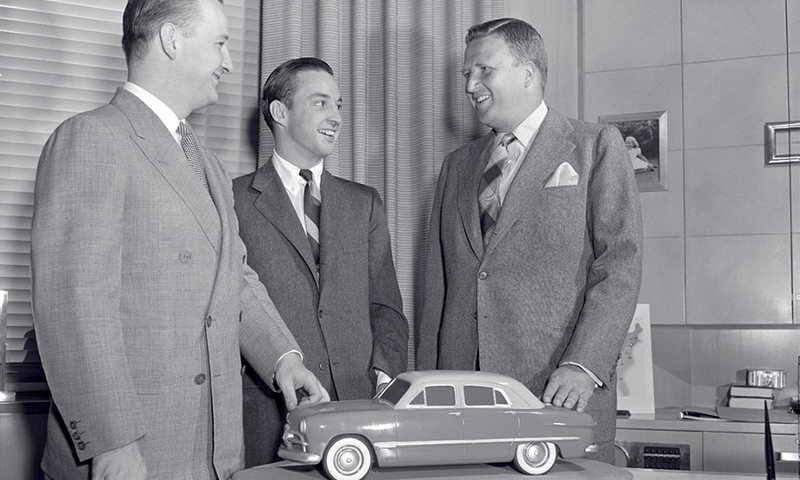 William Clay Ford, center, became an employee of Ford Motor Co. in 1949, joining his older brothers, Benson Ford, left, and Henry Ford II, right. 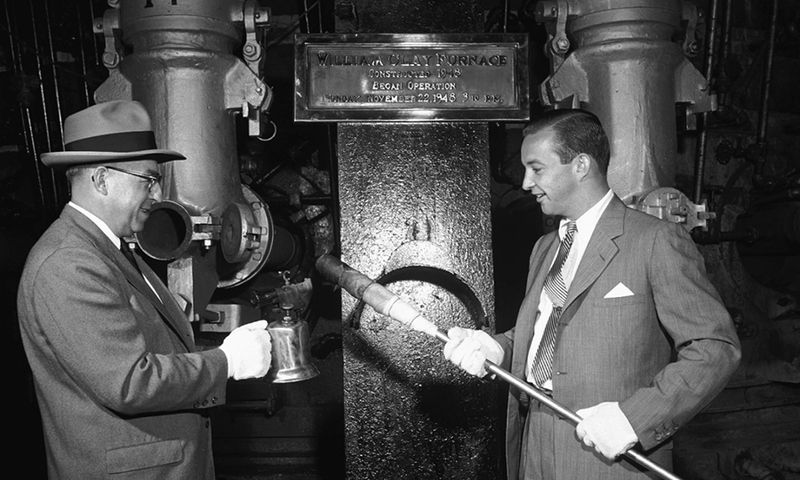 William Clay Ford, right, prepares to light the William Clay furnace at Ford Motor Co.'s vast Rouge River manufacturing complex in 1948.